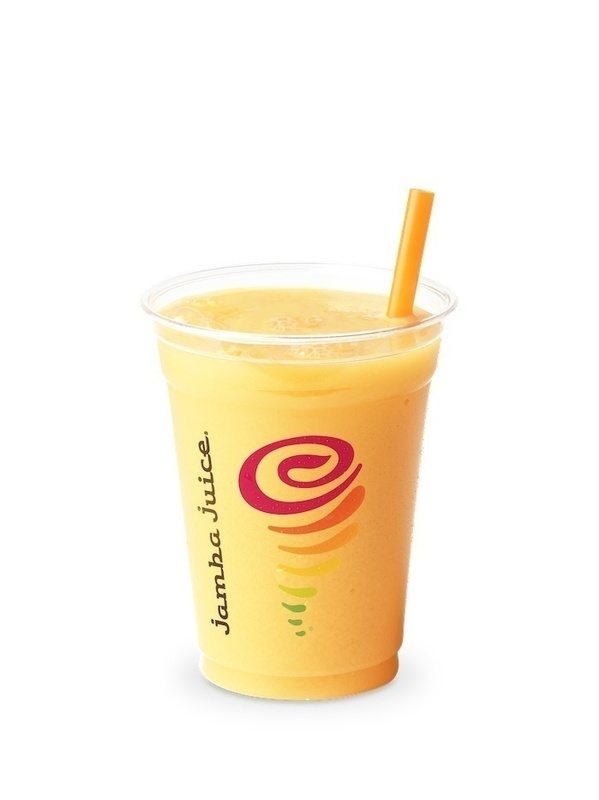 Grab a Delicious On-the-Go Juice + Jamba Juice Giveaway! This post brought to you by Jamba Juice. The content and opinions expressed below are that of College Gloss. Living in Washington, DC, I'm always on the go and trying to get from one place to another. Being able to grab a healthy juice to go is a huge bonus. 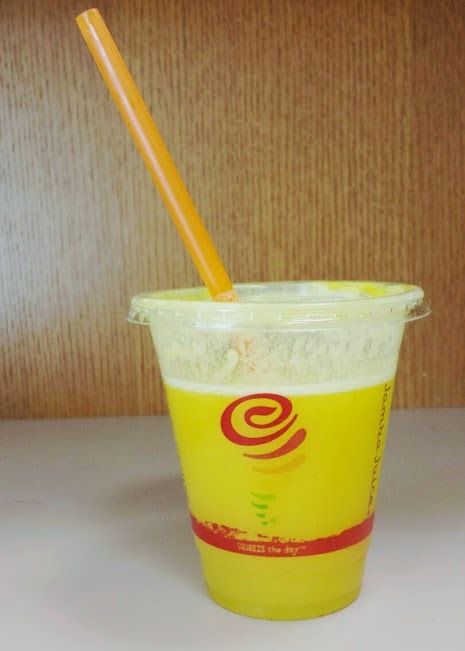 Over the weekend, I was at Union Station to pick something up and went into the Jamba Juice there to grab a drink. The citrus kick immediately caught my eye: it's a blend of blend of oranges, apples, pineapples, and ginger. I actually haven't had anything from Jamba Juice besides their smoothies, but I'm always down for some on-the-go fresh juice. It was really good. You could taste all the fruits, and it was quite the delicious combination. I also loved the small kick at the end that the ginger gave. And I'm not usually a huge health nut, but these juices definitely get a bonus point because they are not only delicious, but also healthy, paleo and fresh pressed. There are no preservatives and are 100% juice! I have to admit, I haven't yet jumped on the cold pressed juice bandwagon, but this juice might be making me change my mind. The Jamba Juice I went to just had the first four flavors listed below, but apparently there are more healthy and delicious juices coming our way. For a truly tropical flavor, we’ve combined apples, pineapples, Supergreens, and Chia seeds. This is one island that will never be deserted. When you really want to bring up the brightness in your day, try this blend of oranges, apples, pineapples, and ginger. Just don’t forget your sunglasses. Take some apples. Then take some carrots, and beets, and super greens and ginger. Then take a minute to drink it all down and wonder how you ever got through your day without it. When your day feels like 5 days, revive with an Orange Reviver. We’ve taken oranges, apples, bananas, beets and Chia seeds and turned them into a spirit-lifting, taste bud-hugging masterpiece of mixology. Is there such a thing as too many servings of vegetables? Not when they make up a melodious medley like this. Try one and enjoy delicious, perfectly portioned vegetables and a splash of apple, all living together in perfect harmony. Just like Mother Nature intended. The fresh, tangy brightness of the orange meets the smooth, earthy sweetness of the carrot. Some things were just meant to be. For juice lovers that know the more, the merrier, we’ve squeezed this orange and double berry masterpiece. It’s The Works of Juices. 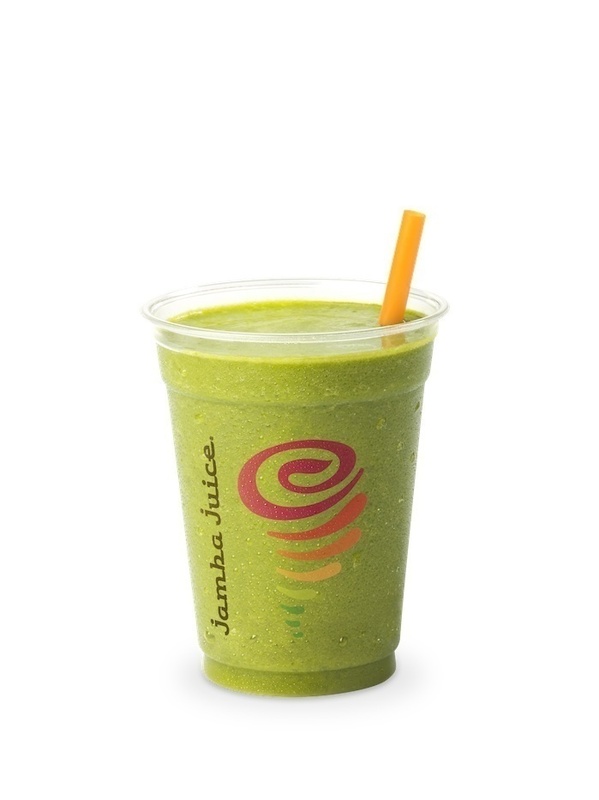 Green means go-go-go with this delicious blend of fresh orange juice, kale and bananas. And as good source of vitamins and manganese, it’s hard to stop sipping. Get ready for the perfect fuel to power through your day. Do bananas have juice? Yep. But don’t take our word for it, just ask the oranges and carrots in this awesome blend of potassium-loaded goodness. We took the American breakfast staple on a trip to the tropics. The result? A juice blend that will take your taste buds on vacation. Luckily for you, College Gloss is teaming up with Jamba Juice to give one reader a gift card to any Jamba Juice store. All you have to do is comment with what Fresh Juice flavor you would want to try for a chance to win your own Fresh Squeezed Juices. I would try to tropical greens! I'm all about trying more juices that include greens and things like chia seeds! All of the juices sound fabulous! The tropical greens drink looks absolutely amazing. 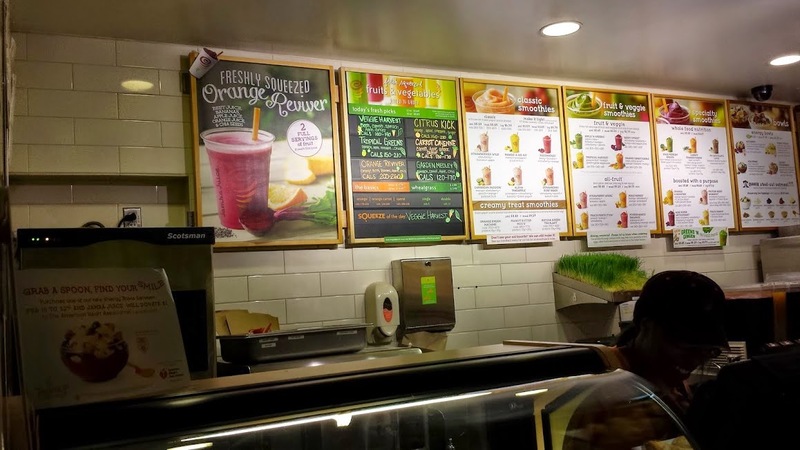 I've only ever been to jamba juice once but I had a great time and the juice was great. The veggie harvest looks amazing. The Triple Revitalizer: sounds amazing! I love the Orange Berry Antioxidant!! it's my favorite! When I was a little girl, my grandmother fell and bankrupt her hip. She was an aged woman, but still the doctor recommended anaplasty to accept her hip replaced. It was a pricy operation the allowance aggregation would not cover. My parents had been extenuative for my academy apprenticeship anytime back I had been born. They begin themselves in a huge dilemma, should they use the academy funds for my grandmother's operation or should they acquisition added agency of accounts for the surgery? Of course, the emergency came first. Whether you accept collapsed abysmal in debt due to poor money administration or a bank addiction, it does not absolutely matter. Well, it ability amount to a lender or banking institution, but back it comes to your family, they will adulation you for who you are, no amount what has happened. Needless to say, they will consistently be there for you if you are activity through a banking emergency (or any blazon of emergency for that matter). So why not resort to their lending duke if you accept collapsed on adamantine times? If you accept admission to a acclaim card, it can accept cogent advantages over a payday loan, and is added acceptable for a best period. Take advantage of aught bulk antithesis alteration deals, adjustable re-draw ability, lower absorption ante (lower than payday loans) and minimum annual acquittal requirements. But additionally accumulate in apperception that there are penalties for backward payment, and you should accept a astute re-payment plan in mind. The best you accumulate the money, the added it costs. Why not ask your employer for a paycheck advance? If it's a accurate beforehand of balance to you, it should appear at aught or actual low absorption cost. If you can get it, it's cheaper, and should be beneath altercation than a payday accommodation agreement. Federal adaptation alliance provides banking abatement for acceptance admission with debt. Acceptance who consolidate their loans get lower account installments, anchored absorption ante and added benefits. All this is done afterwards a acclaim check, assets analysis or fee. Apprentice debt alliance companies do not accept a downside and it's benign in abounding means for acceptance who accept taken assorted educational loans from altered borrowers.